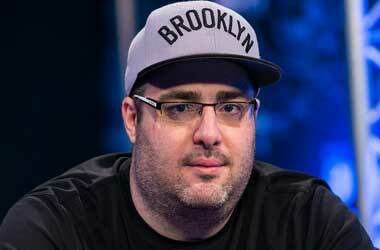 Jared Jaffee never set up to become a professional poker player. Jaffee had aspirations of pursuing a career in law and wanted to join a high profile firm in New York. Things worked out different for this New York native who got his undergraduate degree in political science. Jaffee applied for a number of jobs and got selected in just about all of them but he declined those offers because the idea of working a regular 9 to 5 job did not excite. Instead he took up pizza delivery job because the flexible hours allowed him the liberty to pursue some of his hobbies, one of which included playing poker. His first real success in poker occurred in 2004, when he went on to win an online satellite event that gave him entry into the 2004 Party Poker Million which took place aboard a cruise ship. Jaffee enjoyed the experience of a free cruise ride and the opportunity to play again top professional poker players. He was ousted from the event within 90 minutes and went back to delivering pizza and playing at poker clubs on the side. His parents were not very happy with the vocation he had chosen and wanted him to pursue his studies. Jaffee decided to apply for a law degree at Brooklyn Law School and passed the bar 3 years later. However, his passion was clearly at the poker table and he decided to play poker on a full time basis. During the last 5 years, Jaffee has concentrated solely on playing professional and poker and he has experienced huge ups and downs. In 2010, he had a great year by winning the preliminary event at the Southern Poker Championship for $50,000 and later finishing fourth at the main event earning another $135,000. Some of the other highlights in his career include a second place at the main event of the Wynn Classic for $246,477, a third place at the Full Tilt Online Poker Series (FTOPS) event for $95,982. In July this year Jared won his first career WSOP Bracelet at the $1,500 No Limit Hold’em Mixed Max. However, there have been numerous occasions where Jaffee has not done well. He has lost his roll on more than one occasion and had to be assisted by his parents and friends to get back into the action. But with experience, he has managed to improve with every passing year and has accumulated over $5 million in career prize money. Nobody is going to hire me after all of these years I put into poker and I wouldn’t want them to. This is it for me. My bankroll looks good, but it’s looked good before and didn’t last. I’m just trying to keep it going. The goal is to win enough money that I don’t have to worry about money anymore. I want to buy a place in New York, make a few wise investments and play poker for fun. I want to get to that point where it’s no longer a grind.